Well, for Christmas, I bought myself the newer model: The Fuji X100T. I bought the X100T because Fuji added the one feature that I thought was most critically lacking in the X100S: Face-Detection Autofocus. If you read my previous reviews, you know how frustrated I was with the failure of the X100S to consistently focus on my portrait subjects instead of focusing on the background. Even in a near-miraculous camera (and the Fuji really is near-miraculous), that kind of flaw is basically a deal-breaker. So, with the addition of Face-Detection Autofocus, I figured the X100T would finally be the perfect camera I’ve been looking for. Fuji has improved the camera, but it’s still not quite the perfect, all-purpose, walk-around camera I was hoping for. The addition of face-detection is certainly a plus. The camera does a pretty good (although strangely inconsistent) job of locating faces in the frame, and putting a focus box on them. I say strangely inconsistent because sometimes it seems to lock onto faces, even partial faces or profiles, with almost magical precision — and others times, it just doesn’t seem to find them at all. I haven’t yet figured out the conditions required for it to always work. 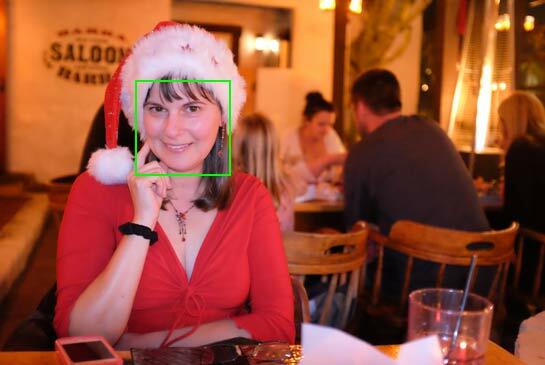 When Face Detection is turned on, a green box appears on faces that are in focus. In general, the face-detection is slower and less accurate than that on my Olympus OMD-E-M5, which can locate faces quicker than a dog locating bacon. But when it does find them, its focus is dead-on and, as always, the quality of the images is superb. There is no small camera today making better people-photos than the Fuji X100 series. The skin tones are gorgeous, and if you use flash, the camera does a brilliant job of balancing the flash and ambient light. My main frustration with the face-detection system is its speed. I tend to shoot a lot of people-photos from the hip (not necessarily literally from the hip, but without putting my eye to the viewfinder), partly because I like to do candid street photography, and also because I have a teenger who hides any time she sees a camera pointed at her. So my ideal camera is one that can locate faces and focus on them, without me having to raise it to my eye, press the shutter button halfway, and wait for the camera to slowly find the faces before I pull the trigger. But the Fuji is not that fast. Most of my from-the-hip quick shots have faces in them, but the camera was not fast enough to lock focus on them before the shutter snapped. but got it on the second try. So it fails to be the super-fast and super-sneaky street photography camera that I was hoping for. Nevertheless, when I do take the time to frame the shot with my eye to the viewfinder, and wait for the green focus box to find a face, I can usually capture my subject in focus. This is an improvement. And perhaps with time, I will learn to pace my candid shots, aiming the camera discretely from the hip, giving a half-press to the shutter button to wake it up… wait, wait, wait…. and then snap. 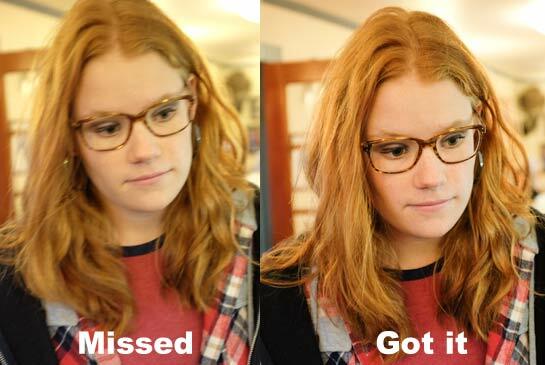 Perhaps, with practice, this kind of routine will improve my candid-photo face-detection accuracy. I’ll let you know. Of course face-detection is not the only new feature in the X100T. One addition that I’m loving is a new menu option providing three different Auto-ISO presets, where you can choose a maximum ISO, maximum aperture and minimum shutter speed, so that the camera intelligently optimizes ISO within the parameters you specify. Having three of these pre-configured to your specifications gives you an easy way to switch modes, from say, shooting kids in action in bright sunlight, to indoor nighttime photography by candlelight, without having to set all the parameters by hand. Very clever. One big change is the loss of the spinny control wheel on the back, now replaced by four buttons arranged in a circle. I loved that control wheel for skimming rapidly through photos, and I’m still getting used to the new method which uses the Command Dial instead. At first I thought the loss of the wheel was a terrible downgrade, but perhaps with practice I’ll find the new method equally usable. One great thing about the Fuji is the ease with which the buttons can have new functions assigned to them. Just hold the button down for a few seconds and a menu pops up allowing you to quickly assign any one of dozens of functions to that button. It’s the easiest customization of any camera I’ve ever seen. If you factor size and portability into the equation, perhaps that’s true. But for sheer performance, my Canon 5D3 still runs circles around it. I’ve been shooting so much with small cameras lately, I’d almost forgotten what a racehorse the 5D3 is, until I picked it up for some photos the other day and felt like I had climbed from a Subaru into a Ferrari. Solid. Fast. Accurate. Sharp. Even the best small cameras, like the Fuji X100T, still can’t compete with high-end DSLR performance. But then again, my Canon 5D3 won’t fit in my coat pocket, and the Fuji will. And remember, when you buy from my Amazon links you buy me a beer! I always look forward to your mailings and read them as soon as I get them. I agree with you vis-a-vis the Fuji cameras: I have the XT-1 and while it is a great camera, and capable of taking fantastic images, I’m just not too enamored with it’s performance. It’s focus is hit-or-miss (well, that could be me, too) and it hunts too much in low-light. My EM1 literally runs rings around it, and it simply can’t compete with the 5-axis IBIS. As for the big guy (Nikon D750)…when I slap on that 20mm f/1.8 that is, literally, all she wrote – nothing, frankly, competes with that combination in low-light (or even daylight). I have the S and am equally frustrated (and delighted) Then with the iPhone 6 Plus and the Nikon D750 I now have 2 cameras that nail autofocus in a jiffy, and reliably, and of course the iPhone is perhaps faster than the D750 and surprisingly good in low light, considering the tiny sensor. But yeah, core image quality, can’t beat the Fuji and the 750. And a great way to upgrade your picture quality is to get the 5k Retina iMac. The old stuff never looked better. I bought a Fuji camera about ten years ago. Paid $650 for it. Just over a year later it fritzed. Main Board gone. $650 to fix it. I put it in the trash. get film, but cameras are still good. I have a couple of Nikons now and they just soldier along. I have the X-T1. It’s my first serious digital. I’ve had Leica (I still use my 60 year old M3) and Nikon film cameras and they all wear like iron. But I have to say the image quality and performance of my X-T1 is spectacular. Obviously no camera is going to be all things to all people, especially digital, but for me I couldn’t be happier. My next purchase is the new 56mm 1.2 APD lens. It’s pricey but so is every other professional lens from any company. Lyndell, why can’t you get film? Try Amazon if you don’t have a local shop nearby any more. Film is not dead. Far from it. I’ve gone thru an Fuji x10 and a Canon G16 small compacts in the past few years. I think many of them have reached a point that the images generally clear and sharp and are useable for general use . At a smaller size (I.e. carried everyday). DSLRs still mostly blow smaller cameras out of the water. But even mirrorless are keeping up witt DSLRs. Have you tried recent small cameras like canon g7x or sony rx100m3? As much as there’s something about Fuji that I love, (note I haven’t tried thr x100 series at all). Price and interface wise, these smaller cams seem to do the job. Have you compared them? I have owned and been furstrated by the original X100. The AF speed did not bother me, the AF accuracy did. It used to miss a group of 10 people and focus on a tree 500mm behind them! 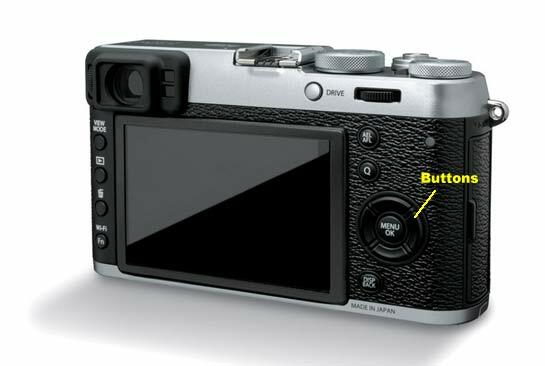 I also read your X100s review that you were also frustrated by substantial number of AF misses. Has the X100T been improved in that department? 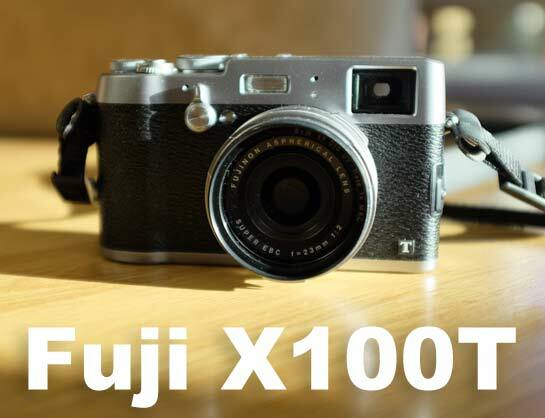 I cant understand- the x100 series is what made fuji cool and desirable. Why is Fuji finding it so hard to fix the AF accuracy on their Star camera? Maybe they need to spend a bit more R&D money to fix it and probably even ask for help from Olympus / Panasonic or Sony as consultant firm to fix their accuracy and speed problems. Does it do bracketed photos? Of note is the fact that the X Series cameras ship with the AF frame area, factory set at it’s smallest AF frame area. I find that at that this setting, AF can be problematic. When the AF frame is set to it’s largest, I find AF performance outstanding due to a much larger contrast area for the camera to work with. Don’t want to be presumptuous, however I speak with plenty of X users who are not aware of this and once the change is made, they curse themselves for not knowing sooner. I’m looking for a back up to my DSLR but my goal is to have it compliment, not replace my main Nikon rig. Specifically I’m looking for silent shutter and stronger video capabilities. Can you (or someone) address those features in the Fujixxx? I have a EF-42 and a X100T, how can this flash work off camera? Anybody knows? Justin, regarding the AF frame, that is exactly the opposite of the advice I usually find regarding the problem I have with Fuji AF. Since my problem is usually the camera focusing on the background rather than the subject, the advice is always, “make the AF frame as small as possible, so that only the subject is inside it, and not part of the background. That way it won’t accidentally choose the background rather than the subject.” Are you suggesting the large AF frame as a solution to this particular issue, or just for other focus issues? I’m inclined to replace my X100S with the X100T for the same reason, face detection autofocus. So I was the only photographer at family reunions et cetera. So will that particular issue be addressed by upgrading to the X100T? That’s really the main annoyance for me. Personally, I got quite used to focussing manually. Benedikt, the X100T definitely improves the ability to hand off the camera to others and get faces in focus. For that reason alone, it might be worth the upgrade to you.